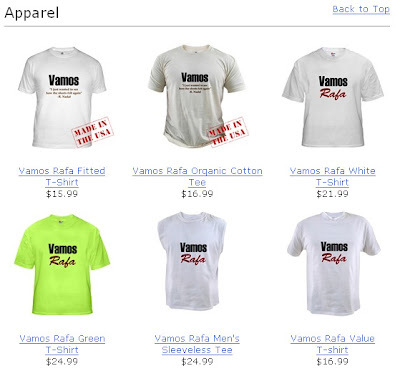 I've just created a store to sell t-shirts on Cafepress and I'm selling Nadal's t-shirts. The design is plain and simple. Hopefully, I'll add more design soon over the weekend and see how the sales go. 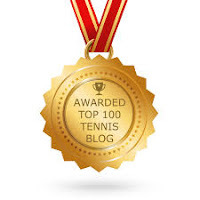 In the meantime, I'll have to concentrate on my meet-Nadal-campaign.